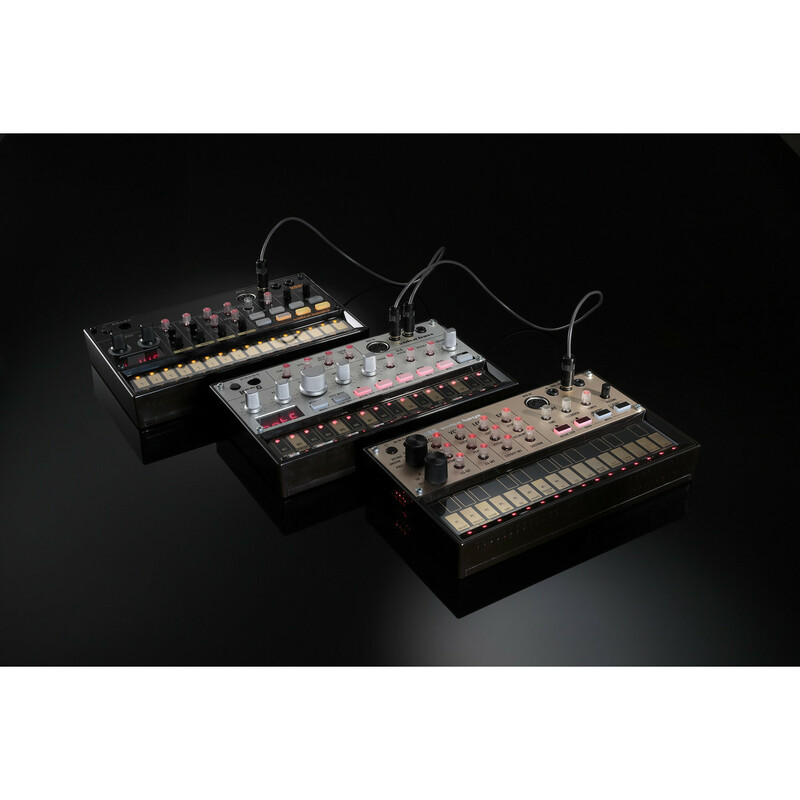 Korg Volca Keys is a 27 key, analog lead synth with a polyphonic sound engine and loop sequencer. With a simple structure, compact body and powerful sound engine, the Volca Keys can create complex chord sequences or lead lines for your tracks. This portable groovebox is especially well suited to live performance and hands on sound manipulation. The represented keyboard makes this synth remarkably easy to use too. 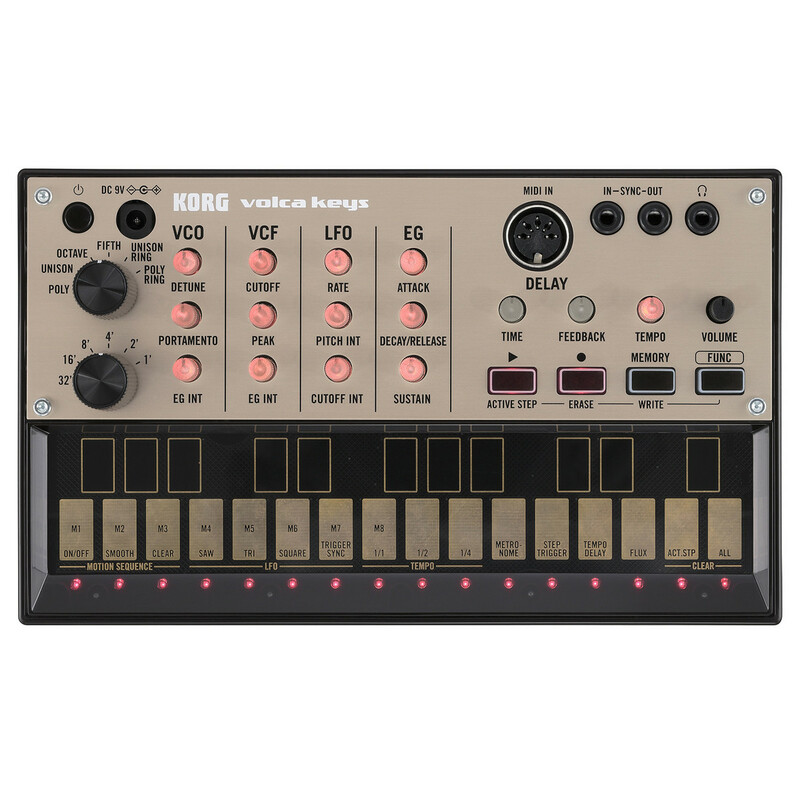 The Korg Volca Keys Analog Loop Synth is ideal for a range of applications from sound design to sequencing and rhythm creation. At the heart of the Volca Keys is the 27-note keyboard, allowing you to play in melodies with ease. 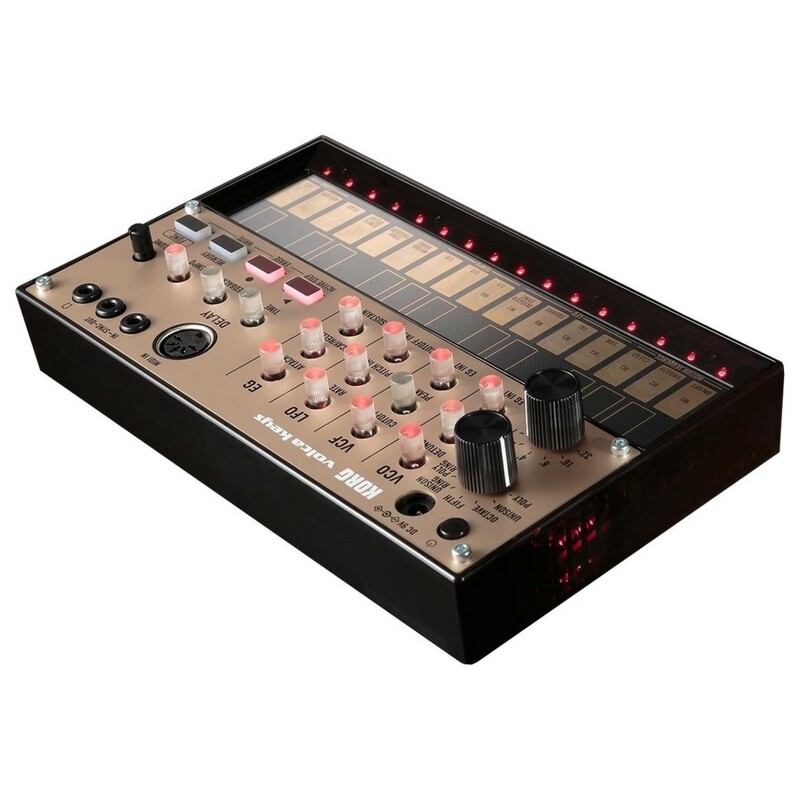 The filter section features the same circuitry used in the legendary miniKORG700S from the early 1970s. The renowned filter circuitry not only sounds great, but adds a touch of vintage flare to your sound. The analog design ensures you capture that classic warmth and grit, normally associated with older synthesizers. It features a range of handy controls including dedicated controls for the VCO, VCF, LFO and EG parameters. One of the most unique features of the Volca Keys, is the integrated looping sequencer. This versatile 16-step sequencer gives you the ability to record phases, while you play them. This allows you to get your ideas down straight away, paramount for improved workflow and on-the-spot rhythm creations. The Motion Sequence mode allows you to craft your loops with added detail, recording knob movements as you work. You can also apply time-varying changes, to enhance your loops for a more unique sound. The Active Step function allows you to skip a step a sequencer is playing back, creating irregular rhythms, ideal for experimentation. The Flex function allows you to play back a pattern without the steps being quantized, creating a unique groove. The Volca Keys features a wide range of handy controls and potentiometers. One of the main controls is the six-position rotary knob, allowing you to choose which synthesis mode you want to use. The options include: Poly, Unison, Octave, Fifth, Unison Ring, or Poly Ring. This expands the functionality of your Volca Keys, by providing you with endless combinations for designing sounds and patterns. There is also dedicated potentiometers for a range of parameters, including detuning for the VCO, cutoff for the VCF, Rate and Pitch controls for the LFO and more. Additionally, the Volca Keys boasts an onboard, simple delay effect. This delay effect is ideal for creating more atmospheric sounds. It also reproduces pitch changes that occurs for added versatility. 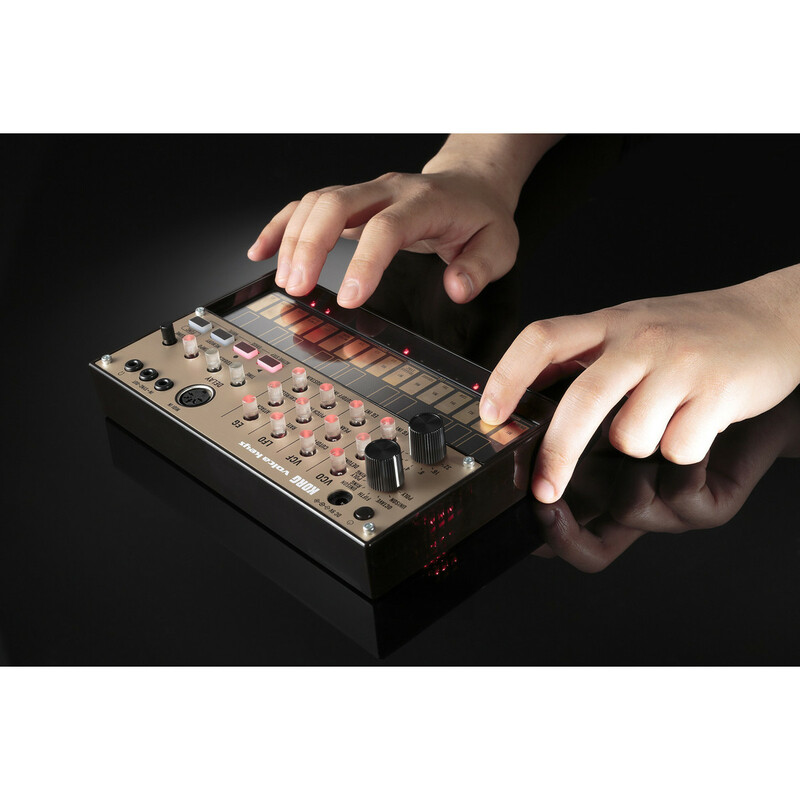 The highly compact design of the Volca Keys, makes it one of the most portable analog synthesizer/sequencers on the market. It can be operated via battery power/AC adapter and even includes a built-in speaker. The built-in speaker is ideal for creating on the move, allowing you to easily demo sounds and create rhythms on the fly. Another unique feature is the self-tuning function. This function ensures that the analog circuitry and oscillators, stay in pitch constantly. The vintage-style sync in/out allows you to use multiple Volca units together for expanded functionality. It also boasts MIDI connectivity, ideal for use with your DAW software, or an external MIDI keyboard. 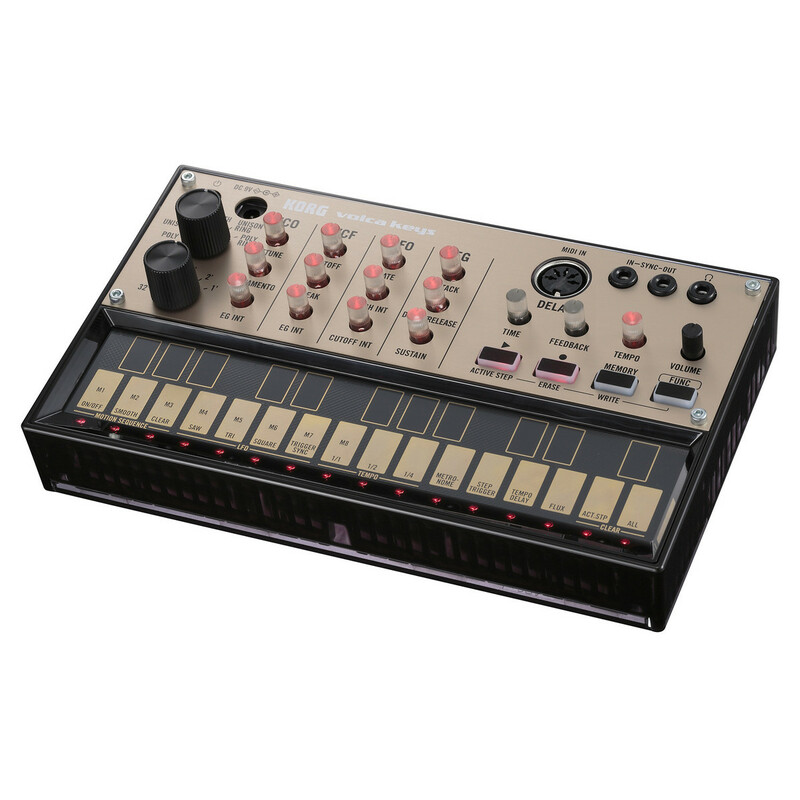 The Volca Keys also features a headphone output, for private monitoring.